If you missed out on the chance to upgrade your television in the Black Friday sales, you could be forgiven for thinking that all of the best deals are behind us. 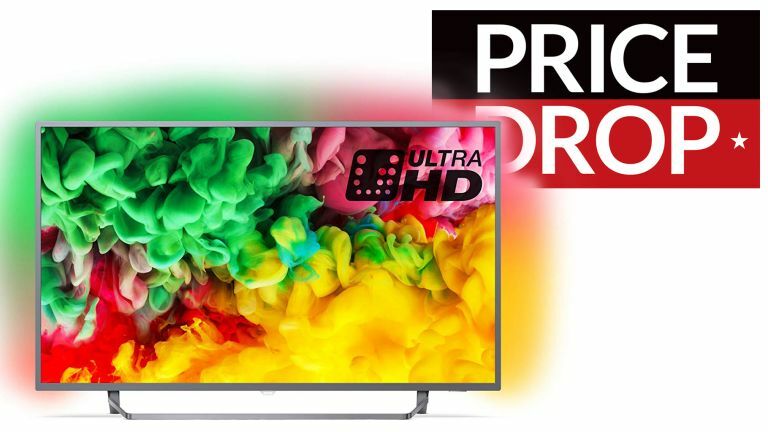 Philips Ambilight 55-inch Ultra HD Smart TV is currently on sale on Amazon UK for £479 – a saving of an impressive £221 off the usual RRP. For those who aren't aware of what an "Ambilight" set is, the propriety system projects light onto the wall behind the television that's the same shade as the image currently on the screen. So, expect a lot of deep oranges around the HD TV set if you're watching Blade Runner 2049, bright flashes of colour when you watch La La Land, and not a whole lot of activity if you watch The Artist. This LED Smart TV is powered by Freeview Play, which has all the usual catch-up and on-demand apps that you'll want, including BBC iPlayer, ITV Hub, All 4, Demand 5 and UKTV Play. There's also 3 HDMI ports, if you're looking to connect an Apple TV, Chromecast, or Sky Q box to bring more content to the 55-inch screen. The Philips Ambilight range is also available in 43-, 50-, and 65-inch versions, too. But the 55-inch model has the largest discount by a sizeable margin, with the 43-inch in second place with a £121 drop in price.